AFP offers a number of educational opportunities designed for the experienced fundraising practitioner. 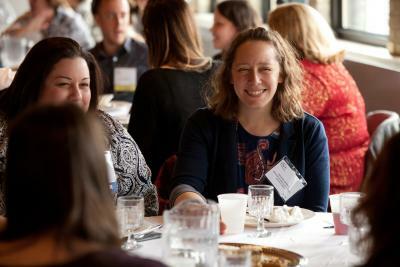 These opportunities address both the practical skills and theoretical understanding required of advanced-level fundraisers. To learn more, review the FAQ below or visit CFRE International. If you're ready to start or continue your CFRE journey, AFP Greater Madison is offering the the CFRE Refresher Course in June 2017. This course is designed new and continuing certifications. The Certified Fundraising Executive (CFRE) credential demonstrates an individual’s mastery of the standards set for core knowledge and skills required of fundraising executives after three years of experience. This practice-based designation requires demonstration of having met these standards through both an application and a written examination. 1. Application – All candidates must complete a written application which requires information in four areas: Professional Practice; Education; Performance (dollars raised); and Service. 2. Examination – Once a candidate demonstrates the minimum requirements on the written application, there is a computer-based, multiple-choice examination designed to assess fundamental knowledge of fundraising theory and practice in the following areas: Current and Prospective Donor Research; Securing the Gift; Relationship Building; Volunteer Involvement; Leadership and Management; and Ethics and Accountability. 3. Recertification – To maintain CFRE status, recertification is required every three years. A new application updating Professional Practice, Education, and Performance (projects managed or dollars raised) is required. There is no examination requirement. Ethical Code: All CFRE candidates must agree to uphold the Donor Bill of Rights and to adhere to a code of ethics and standards of professional practice in order to participate in the program. Why should I become a CFRE? The CFRE credential provides you with a recognizable demonstration of your personal and professional achievement and commitment. The CFRE signals your colleagues, your community and potential donors that you have the knowledge and skills to be a competent fundraising executive and that you are committed to upholding the Donor Bill of Rights and a code of ethics and standards of professional practice. The CFRE also says you are committed to continuing your professional growth through ongoing educational activities. Who can become a CFRE? Paid, professional employment for a minimum of 36 months in the last five (5) years, allowing for employment gaps. A minimum of 80 points in Education, consisting of points awarded for academic education and continuing education (1 point per clock-hour or .1 CEU). CFRE candidates are expected to have participated in ongoing educational activities. Professional Practice - A minimum of 36 points. 1 month of employment = 1 point. Candidates who are or have been employed half-time may also qualify, providing 100% of their job duties and responsibilities consist of fundraising activities, resource development, and/or the management of fund development which results in generation of philanthropic support. Eligibility requirements, exam preparation materials, and the online application are available on the CFRE website. Visit cfre.org. The application for the CFRE exam is very detailed and inclusive. Please allow ample time to complete the application, as its submission and fee are required 90 days prior to your selected exam date. Where and when can I take the CFRE examination? After CFRE International approves your application, you may schedule your exam. More information is available at pearsonvue.com/cfre. The exam is computer-based and your score will be given to you immediately upon completing the exam.